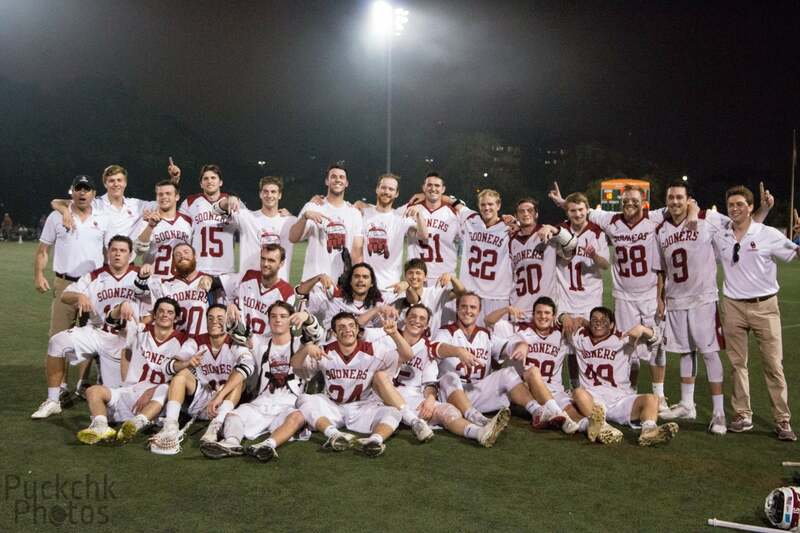 The Oklahoma Men's Lacrosse Team was founded in 1978 and is currently a member of the MCLA D1 Lone Star Alliance conference. It has since strived to win a conference championships each year and hopefully make it to the National tournament in the future. During the spring season, the Sooners face teams in their conference such as SMU, Texas State, Texas Tech, TCU, Arkansas, UNT, and Texas on a regular basis. They also compete against teams from multiple states across the country during the season. Coached by Mario Enea, the men's lacrosse team reached the LSA league championship for the past two years in a row. The team roster is made up of many committed student athletes from multiple states. All team members have diverse academic interests and unique skillsets on and off the lacrosse field. During the spring season, the Sooners practice everyday consisting of team workouts, film, and on-the-field drills and scrimmages. The lax team hosts different universities on weekends for home games and spends the others traveling to conference and non-conference schools for away matchups. 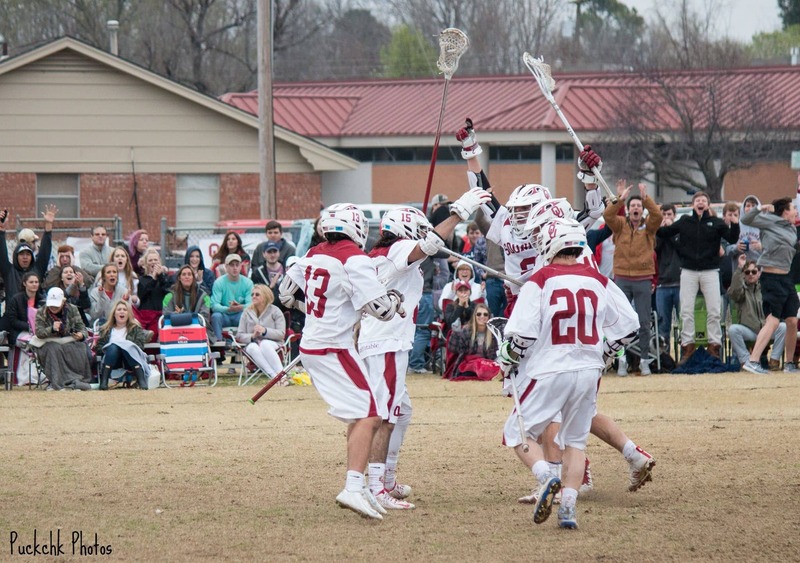 During the fall, the Sooners hold practice a few times a week and play box lacrosse on the weekends. 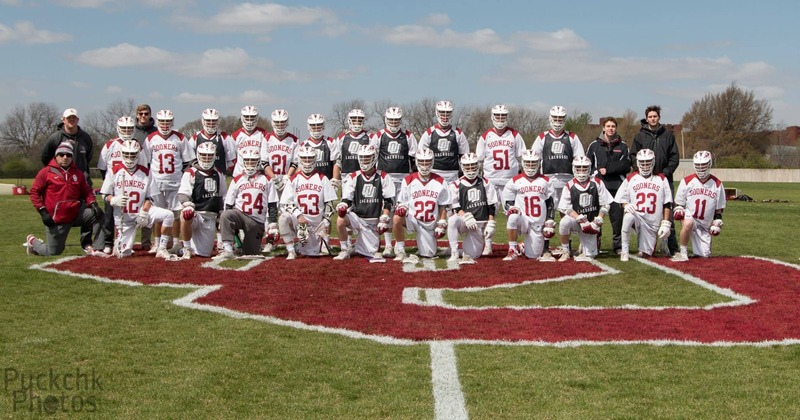 OU Men's Lacrosse is looking for support to continue the success of its program in many areas. The lacrosse team relies on the support of its current players, friends, parents, and alumni to fund all its expenses throughout each season. Travel related expenses such as team buses, hotel rooms, pregame meals, and potential plane flights would be covered. Equipment such as team pads, team gear, balls, nets, goals, and even the cost of lining our field are included as well. Your donation will relieve the financial burden that our student athletes feel when faced with travel, equipment, and competition expenses so they can focus on what really matters-playing Lacrosse! Please share our campaign with your friends, family, and colleagues via social media and email. All of your support is much appreciated, and all funds will be utilized effectively to help with the continual success of this program. Thank you, and welcome to the Sooners Lacrosse family! Athletic tape and prewrap for taping ankles. Along with hockey tape to be used to tape our lacrosse sticks. "Shoot or pass the ball using snake eyes"
Set of 15 lacrosse balls or a day's worth of meals for a team member. "Catch the ball on the crease, fake the goalie low and shoot high on the cage"
A hotel room for the weekend or two new lax nets to go in our goals. "Lauch the ball at top speed towards the goal standing only feet away"
Assists with the cost of lining our field and adding the OU logo to it before home games. Or acquiring OU lax team t-shirts and gear for players. "Shake and bake past your defenseman with ease"
Help contribute to team bus travel costs as we often compete at other schools for our away games. "Rattle the ball off the pipe with a shot"
Goes towards paying for referees, trainers, new team gear and other expenses to help the team function as a whole and succeed. "Rip the ball to the absolute top right corner of the twine"
Help pay for multiple plane tickets so that team members can attend the national tournament when we win our conference championship. Or cover referee fees for a year. Instead, even pay for half the cost of new team helmets. "Hopefully making it to the national tournament"